Kering releases the results of its Group-wide Environmental Profit and Loss Account to encourage integration of the value of nature into business Kering released the results of its pioneering Environmental Profit and Loss Account (E P&L)1 today, measuring its environmental footprint in its own operations and across the Group’s supply chains and valuing it in monetary terms. Further, Kering has published its E P&L methodology in order to provide an open-source tool to encourage other corporations to understand their entire impact on natural capital. Kering is sharing this work to support the development of corporate accounting of natural capital, and the Natural Capital Protocol2, a cross-sector industry initiative developing a global methodology for environmental accounting. Through the E P&L, Kering has analysed the impact on natural capital3 from raw materials to the delivery of products to its customers, including logistics and stores. This assessment deepens the understanding of its activities, providing visibility so as to enable better decision-making. In doing so, a company increases its ability to reduce its impact, and also to respond to drivers of change in the supply chain, including fluctuations in raw material quality and availability. “Kering is sharing our E P&L work as transparency and collaboration are needed to scale solutions which will help solve problems of scale, like the depletion of natural capital,” said François-Henri Pinault, Chairman and CEO of Kering. He added, “Our E P&L has already served as an effective internal catalyst to drive us towards a more sustainable business model. I am convinced that an E P&L, and corporate natural capital accounting more broadly, are essential to enable companies to acknowledge the true cost on nature of doing business. It highlights where there are environmental impacts and also business opportunities, to then enable informed strategic decision-making that will underpin a more resilient business in the face of current and future environmental challenges resulting from climate change.” The Kering E P&L Methodology and 2013 Group results report, with the support of Kering’s brands and PwC, outlines the comprehensive seven-step methodology to help a company create an E P&L. The report also presents the consolidated Group E P&L results based on 2013 data and highlights key actions already taken by the Group and its brands to mitigate its impacts on natural capital thus far. The E P&L account serves as a sustainability metric and methodology for the company. It is not related to financial results or financial reporting. Rather, the E P&L is a new way of estimating the cost to society of the changes in the environment resulting from businesses’ activities across the entire supply chain. 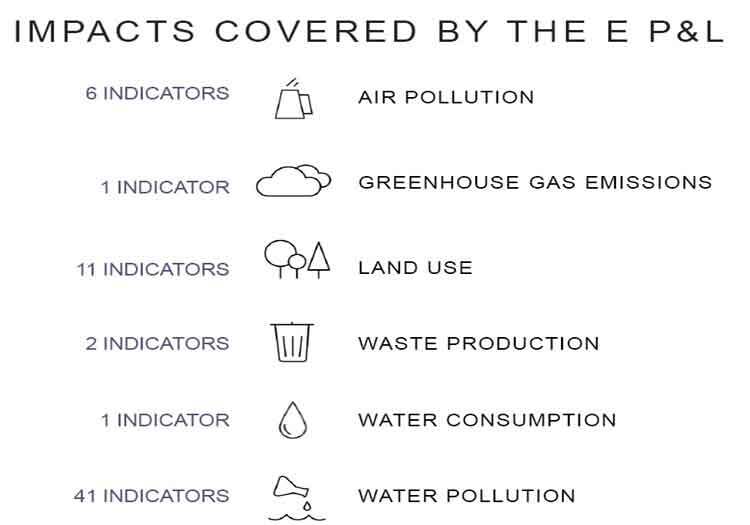 These changes or environmental impacts are measured through Greenhouse Gas emissions, water use, water and air pollution, waste production and land use changes linked to Kering’s operations (retail, offices and transport) as well as those of its suppliers, from raw materials through to manufacturing. The 2013 Group E P&L account reveals learnings such as: · Of the total environmental impact, 93% falls within the supply chain, with over 50% of the impact associated with raw material production (Tier 4 suppliers). · Within the supply chain, 26% of the impact is associated with raw material processing (Tier 3), and manufacturing and product assembly (Tiers 1 and 2) accounts for 17% of the total impact. · 7% of the impacts are associated with Kering’s operations including retail (Tier 0). 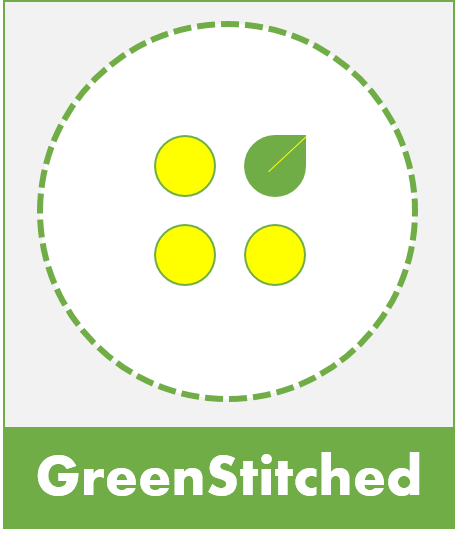 · Of the total impact, 35% comes from GHG emissions and 27% from land use, and · 25% comes from leather, while 17% is linked to cotton. The E P&L results will be presented during Kering’s press conference at 2:30pm CET today and live-streamed on Kering.com. To download Kering’s full, monetised Group E P&L results and methodology, click here. To put Kering’s results in a larger context: if Kering operated as ‘business as usual’ and sourced as a typical company of its sector, its E P&L would have been 40 % higher4. Kering is out-performing its sector in reducing its footprint and, further, Kering’s environmental impacts are less than 45% of the global average business based on comparative turnover. In response to the E P&L analysis, and as part of its overall sustainability commitment, Kering has been focusing its efforts on more sustainable production of key raw materials, developing innovative solutions for improved manufacturing processes, and implementing actions to enhance efficiency in its stores and facilities, and transport of goods. Specific details on how Kering is doing this in its brands supply chains are presented in the detailed report. “The E P&L analysis provides us with critical new insights into our business – highlighting where we can design and implement innovative solutions to mitigate our environmental impact, while creating new business opportunities” said Marie-Claire Daveu, Chief Sustainability Officer and Head of international institutional affairs, Kering, “At Kering, we believe that it is important to be transparent with our peers and stakeholders as it is only through collaboration that we will be able to scale sustainability solutions and make a difference beyond our own business and supply chains, for society and nature more broadly.” 1 An Environmental Profit and Loss account (E P&L) analyses the total environmental impacts in a company’s own operations, and across its entire supply chain and then estimates the cost to society of the changes in the environment resulting from these activities. 2 The Natural Capital Protocal aims to transform the way business operates through understanding and incorporating their impacts and dependencies on natural capital. The NCP will be published in 2016 and will provide clear guidance on how companies can measure and value different types of impacts and dependencies for different business applications. 3 Natural Capital is the stock of natural ecosystems on Earth including air, land, soil, biodiversity and geological resources. This stock underpins our economy and society by producing value for people, both directly and indirectly. 4 PwC analysis. **This post first appeared here. About Kering A world leader in apparel and accessories, Kering develops an ensemble of powerful Luxury and Sport & Lifestyle brands: Gucci, Bottega Veneta, Saint Laurent, Alexander McQueen, Balenciaga, Brioni, Christopher Kane, McQ, Stella McCartney, Tomas Maier, Sergio Rossi, Boucheron, Dodo, Girard-Perregaux, JeanRichard, Pomellato, Qeelin, Ulysse Nardin, Puma, Volcom, Cobra, Electric and Tretorn. By ‘empowering imagination’ in the fullest sense, Kering encourages its brands to reach their potential, in the most sustainable manner. Present in more than 120 countries, the Group generated revenues of €10 billion in 2014 and had more than 37,000 employees at year end. The Kering (previously PPR) share is listed on Euronext Paris (FR 0000121485, KER.PA, KER.FP). This entry was posted in Brands and tagged Annual Report, apparel, Kering, organic cotton.